The BL5000 ECP series represents a medium to heavy duty lock with a fully clutched, round bar handle. This keypad comes with an optional free passage mode, allowing a bypass of the coding mechanism. Furthermore, the ECP range comes with an on the door code change mechanism, allowing a quick and easy recoding function. 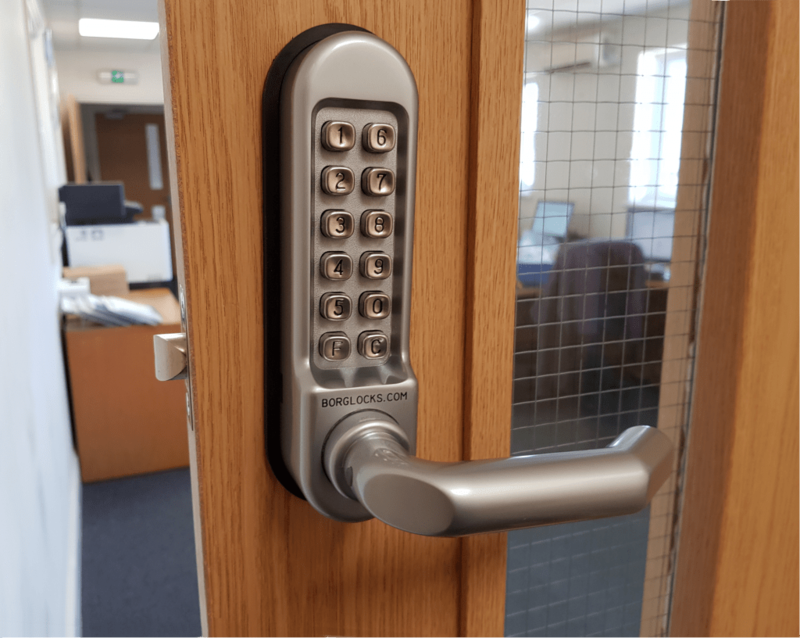 This unit comes back to back keypads, with a choice between either a 60mm or 70mm tubular latch. The BL5000 series represents a medium to heavy duty lock where lighter duty locks just won’t handle it. Offering a fully clutched round bar handle, this lock can be suited for most different applications out there. Each BL5051 offers a optional free passage mode, enabling a bypass mode to deactivate the coding chamber. Until deactivated, this allows you to enter without the need to enter the code. This comes as a back to back model, with a keypad replacing the standard internal handle, requiring a code to both enter and exit. Each keypad comes with independent coding chambers, allowing different codes on either side should this be required. Each have over 8000 combinations and are independently cycle tested to 50,000 operations. This variation comes with a 60mm or 70mm tubular latch. Suitable for internal and sheltered external use on wooden, composite and steel doors.